Use Rynga on your Apple device: Install the VoipConnect client to start using Rynga now! Works on MacBook Air, MacBook Pro, Mac mini, iMac, Mac Pro and more! 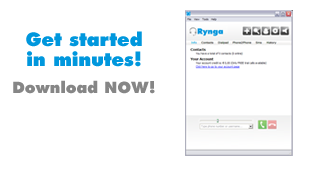 Rynga offers a simple tool for OS X to make cheap phone calls.